However, that shouldn’t stop you from preparing it that way if that is your normal steeping methodology (or if you are simply curious). 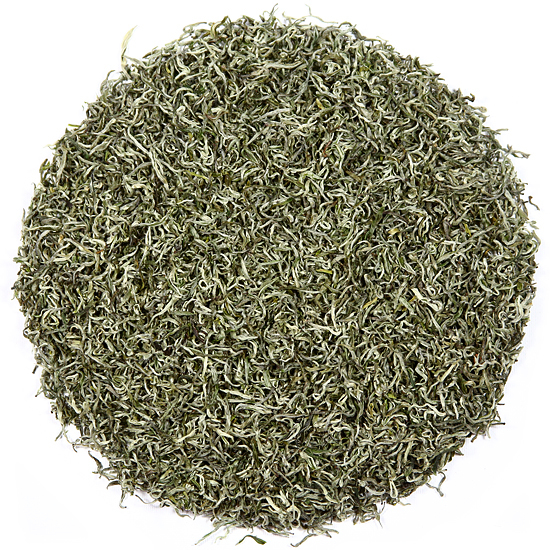 This tea is another outstanding example of the wonderful tea from the Jun Chiyabari Tea Garden, a small & exclusive tea estate located in the mid-eastern Himalaya hills of Nepal. We select our ‘lots’, or ‘batches’ of tea from Jun Chiyabari very thoughtfully, and with a clear goal in mind. The tea makers at this famous and progressive garden regularly offer both extremely traditional manufactures of leaf and also new and varied manufactures that often push the envelope regarding withering, oxidation, roasting, firing, resting, and the other myriad core elements of tea manufacture. We taste anywhere from ‘several’ to ‘many’ samples of each potential offering from them (and most of our gardens) and select what we choose based on a combination of what we like, what we find particularly exciting in a given season, and then sometimes we ‘go for’ one of their really unusual preparations, such as this year’s ‘Moon Drops‘, which is also technically in the same category as this tea, our Nepal ‘Jade Oolong‘ (being an oolong). However, one would be hard-pressed to find another tea maker in Nepal who is manufacturing an oolong in the unique fashion of either of these fabulous teas. ‘Moon Drops’ has much in common with Taiwan’s Bai Hao Oolong, but little historical linkage to any Himalaya oolong, the way that this Jade Oolong does! And so we happily offer more than one Nepal oolong for 2018/19: this, a classic beauty; and ‘Moon Drops‘, our intriguing, avant-garde preparation for this season. The level of oxidation of our 2nd lot of 2018 Jade Oolong is in the upper-middle range of what is traditionally appropriate for oolong manufacture. It has that clear, stone-fruit aroma and background taste that one wants in an exceptional oolong. It is neither tannic nor dull. It is deliciously drinkable and re-steeps many times providing that the correct amount of leaf is used in the first place. Overall, an outstanding example of a classic tea maker’s art. The gardens at Jun Chiyabari that produce leaf for this oolong are located at 6,000 feet in the ‘hills’ around Hile, a typical Himalaya hill-town, about 15 km west of Ilam (the major tea-producing region of eastern Nepal) not far from Sikkim and Darjeeling to the east, and Sagarmatha (Mt Everest) to the north. We work directly with Jun Chiyabari Tea Garden for the teas that we buy from them each year. The tea makers at Jun Chiyabari have classified this tea as an oolong, but they have used innovative techniques in its manufacture. In actuality, this tea defies classification in the strict sense of tea categorization; however, the result is absolutely delicious, and fans of the last several years’ versions of this tea will find the flavor to be both familiar and similar, but at the same time a bit more flavorful and richer in the cup. Tea Trekker customers may have picked up on the fact that we do not tend to be fans of teas that are made in a different country from that of the tea’s historic place of origin. We are pretty traditional in our selections and shy away from much of the ‘innovative’ tea that is being made in different parts of the tea world today. But we trust the work ethic and traditions that are in place at Jun Chiyabari and this tea is really a delicious, classically-styled, ‘interpretative’ tea borrowing from several manufacturing styles, and is a thoroughly delicious representation of Nepalese leaf manufactured into a Taiwanese-style, lightly-oxidized oolong. This tea is soft in style and has large leaves that unfurl graciously in the teapot. It is quite reminiscent of some of the Taiwan oolongs that we offered in the 1970’s and 80’s – which were simply called ‘Formosa Oolong‘ back in the day (and that now primarily exist as the various ‘White Tip Oolongs‘. 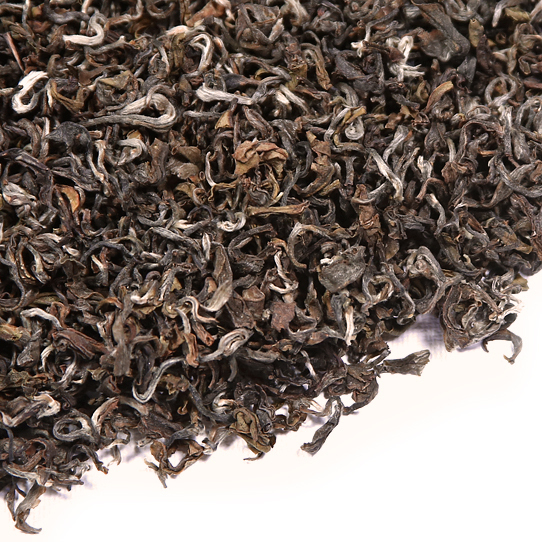 The cool, clean air of its pristine growing environment in eastern Nepal shows in the crisp and bright flavor in the cup. 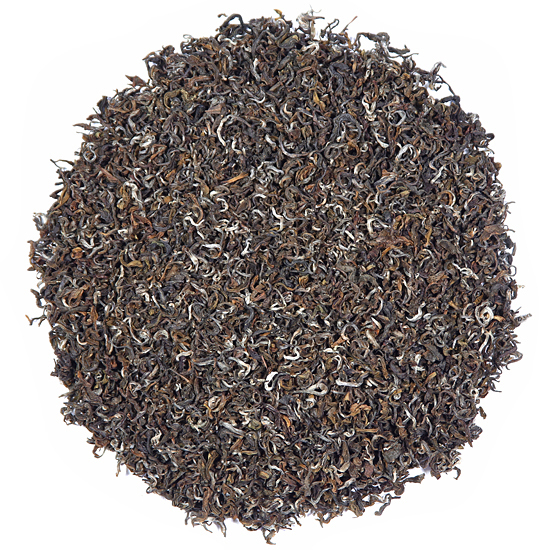 We think that the character of this high elevation tea flavor epitomizes the terroir of eastern ‘Nepal’ – which is exactly the effect that Jun Chiyabari is intending to express.